This number 39 is SCOTA driver Geoff Keeling. 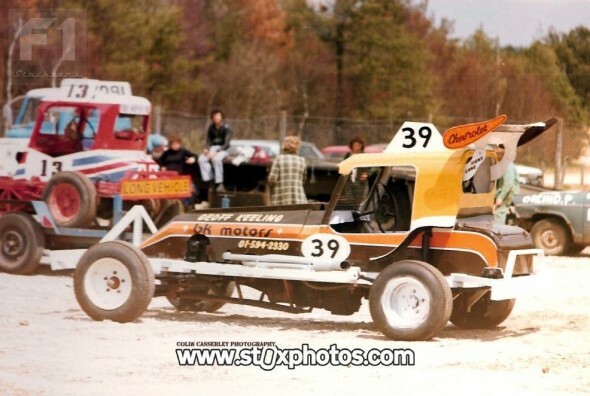 Geoff was the K in BK Motors of Romford, the B being the Bashfords, Jim and Pete (187 and 107 when they raced BriSCA F1). The car shown was built by Allan Barker (179) and was later driven by Bob Boddington (196).